They always say that horses are great at keeping you grounded, and Corey has given us a worrisome few weeks to make sure we don’t get too complacent. After my run at Skipton we turned our attention to preparing him for his second CIC*, at our local event Somerford Park. I went off on holiday to visit family in Finland – quite a challenge with two children, but a good break to refresh us all – and Mum worked with Nicki to keep Corey progressing. However, things started to go awry when Corey got bitten by a horsefly and had a big swelling on his side, meaning he couldn’t be ridden for a few days and missed out on a fitness session. On my return I managed a couple of light schooling sessions at home but couldn’t ask much because our field was so hard. We are lucky to have ground that is good to ride on most of the year, but with the extended dry spell even our field was struggling and the other field with better grass cover had a herd of cows in it so I didn’t fancy practicing in there! I did get out to Kelsall for a pull up their gallops, and Nicki had a show jump practice on him just before she went to do the intermediate novice at Frickley Park. Nicki felt he wasn’t quite himself in that practice, which at the time we put down to the heat, but in hindsight it was the first red flag that something was wrong. Mum and Dad took Corey to Frickley a day in advance, combining it with a camping adventure with Floss; we do like how our sport gives us these extra opportunities for fun, even in the pouring rain. 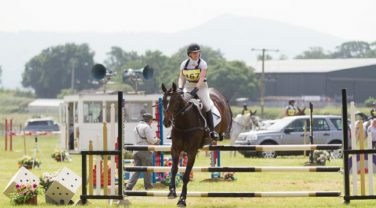 Corey had a reasonable first attempt at an intermediate test, but again was possibly not quite himself… warmed up well for the show jumping and started the course well, but halfway round started to show discomfort and eventually slid into a halt at the second part of the treble. Nicki put him to the treble again but when he refused to even jump in, she quite rightly retired. We took him back to the stable scratching our heads and worried, trying to work out what went wrong. Over the next two weeks we consulted with the vet, physio and saddler, hoping we could get him back on track. I’m not looking forward to my monthly budget review after all those visits, especially as I keep telling Al he can’t buy more tools whilst I’m on maternity pay. It was worth it though. The physio found and treated some tightness in his back, then we set to work doing carrot stretches and some light gridwork to help him realise it didn’t hurt any more. I think he might be 3 inches longer with the amount of stretching I did in that week. 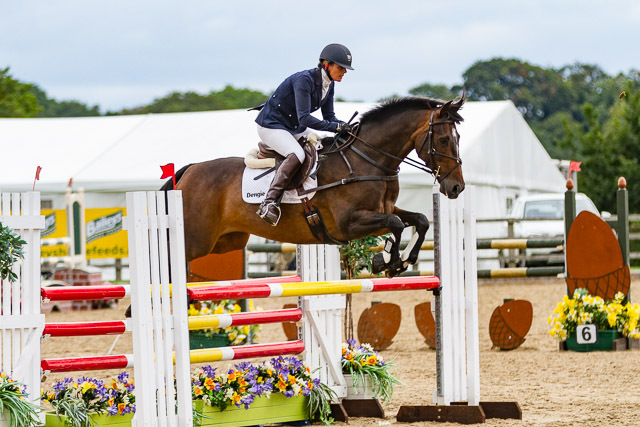 With a week to go, I was happy that he was back to his usual self and after jumping a great double clear to take his first British Showjumping win in a Discovery class, followed by a confident run in the Newcomers for just one pole, Nicki agreed. We got in a quick cross country schooling session and a flatwork lesson, and we were on to finishing polishes for Somerford. Mum and I went to spectate (or rather, fangirl haha) on the Friday at Somerford as the number of world class combinations in the open intermediate was just outstanding. Walking the CIC* course that afternoon, I began to worry whether we were asking too much of Corey as it was a serious track with an especially serious and intense middle third. First we had to strut our stuff in the dressage on Saturday morning. Corey loves the surface that the international classes run on at Somerford, but competing on it means he doesn’t have his usual advantage over other horses that he gets from being primarily schooled on grass, and we weren’t sure what to expect given that he was up against a lot of professionals. As usual, he didn’t disappoint, pulling out a solid test and just squeaking into the 20s (just, 29.9!) to lie in the top 25%. 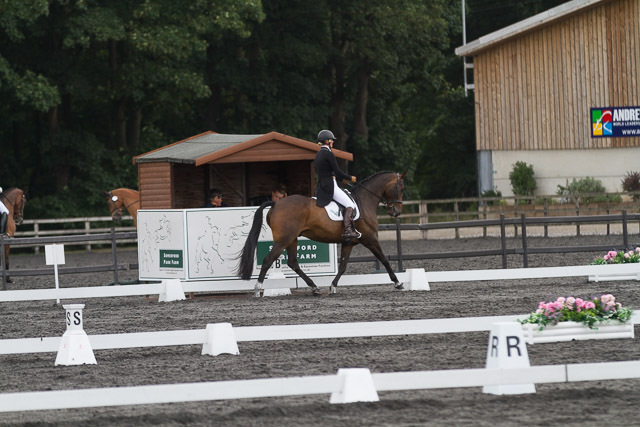 I still think back occasionally to when we bought him, and how we had no expectations for his flatwork as we just wanted a horse that wanted to jump, so his ability in the boards is a much appreciated bonus even if it does put the pressure on for the rest of the event. We had a long, long wait on Sunday until we got to jump in the afternoon and we were all itching to get going. Warming up for the show jumping Corey looked great and our only concern was that we couldn’t make him touch a single practice fence. He looked happy and confident, but was he perhaps enjoying it too much? His sharp knees deserted him once in the ring, leaving three poles on the floor, but after his issue at Frickley it was lovely to see him back pinging round. It was even more lovely to watch him storming round the cross country. I heard on the commentary that they’d cleared the first tough question, then watched as Nicki steered him confidently through that intense middle third. The last big question, a big hedge to a corner, had not worried me when I walked the course but Corey through in a curveball. Nicki felt he just didn’t quite lock on as normal and he skipped out the side door. Maybe the previous challenges had taken more out of him than we realised, maybe the line off the hedge was tougher than it looked, we don’t know. What we do know, and what I tried to focus on as we drank prosecco celebrating another international completion, was that with Nicki’s help he had bossed 95% of the toughest track of his career and possibly the toughest he’ll ever face. As we packed up the trailer to head home, prosecco and five months of sleep deprivation took hold of my emotions. I hugged Nicki, I hugged Corey and I cried. I have absolutely loved watching Nicki and Corey together, and I was sad that Somerford was their last event together. At the same time, although I am quite anxious that I won’t be able to do Corey justice, I really really want to be the one riding him round these international tracks. With that in mind, we are planning to have a little play at a couple more events this year, taking the pressure off both Corey and myself (especially given that aforementioned sleep deprivation), before coming out fighting in 2019. Thank you Nicki, you’ve done us proud. 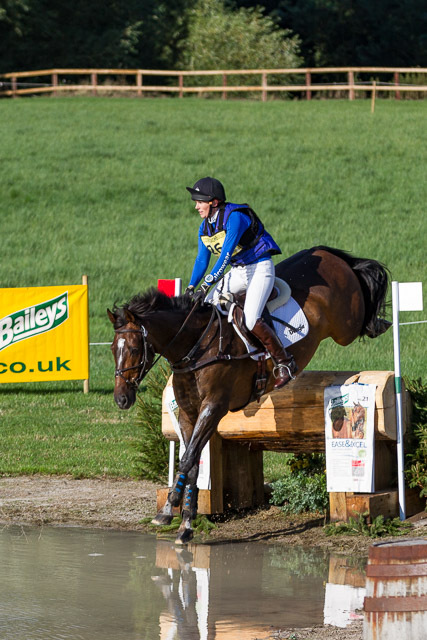 Still basking in the glory of his success at Chatsworth, Corey had a few quiet days but then I could wait no longer. It was time to have a pop and he didn’t disappoint.